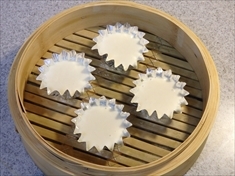 It is how to make steamed bread without using eggs and oil. 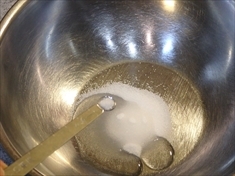 I use granulated sugar and starch syrup. 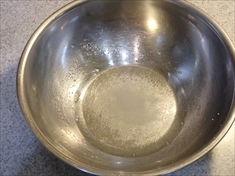 When weighing granulated sugar and starch syrup, weigh it with a bowl. 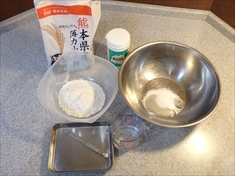 ◇Granulated sugar, starch syrup, salt, mix well with water. 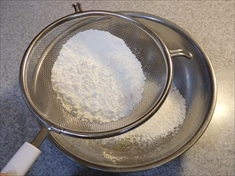 ◇Add the flour while sifting flour and baking powder. 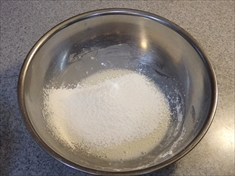 Add light flour in about 4 times. 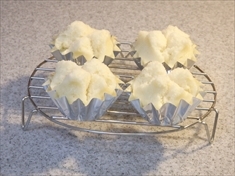 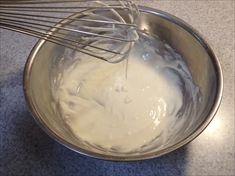 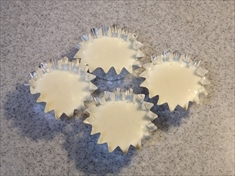 ◇Divide cake batter into foil cup. 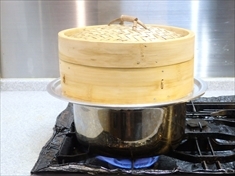 ◇Steamer, steam for about 13 minutes with high heat. 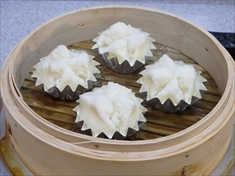 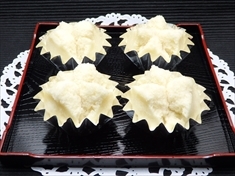 From steamed bread with granulated sugar alone, steamed bread using starch syrup became soft sweetness. 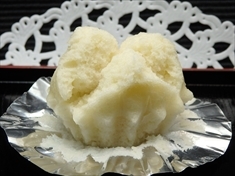 Calories of steamed bread using starch syrup will be about 96 kcal.